The shoes that al-Zaidi threw at Bush became so famous that a Saudi businessman offered $ 10 million for them. 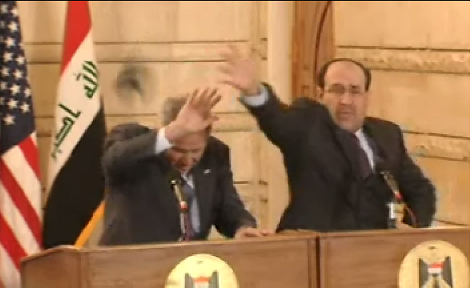 An unusual incident occurred on this day in Baghdad, when Iraqi journalist Muntadar al-Zaidi threw his shoes at former U.S. President George W. Bush during a press conference. His gesture was accompanied by the exclamation: “This is a farewell kiss from the Iraqi people, you dog!” He was soon overwhelmed by the security officers and detained. 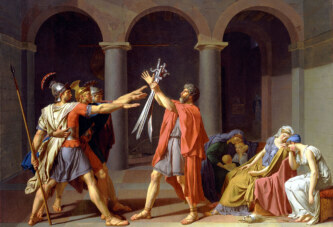 At the trial, the offender was sentenced to three years in prison, but the sentence was later reduced to one year. Eventually he was released from prison after nine months, for good behavior. His act was supported throughout the Arab world, and the shoes that he threw became so famous that a Saudi businessman offered $ 10 million for them. There were also suggestions for the shoes to be placed in a museum. The Americans eventually destroyed them to prevent their glorification. The Turkish shoe manufacturer who claimed that he produced them received large orders for that specific model, even from the United States, and was reportedly forced to hire an additional 100 people in order to produce a sufficient number of pairs.